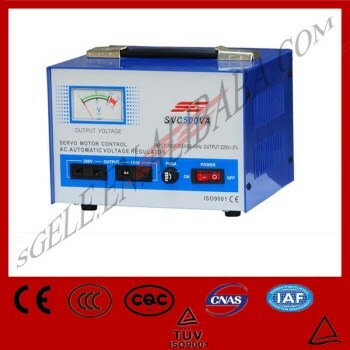 SVC autiomatic volatge stabilizer /voltage regular onsists of contact voltage regulator, sampling control circuit and servomotor as well. 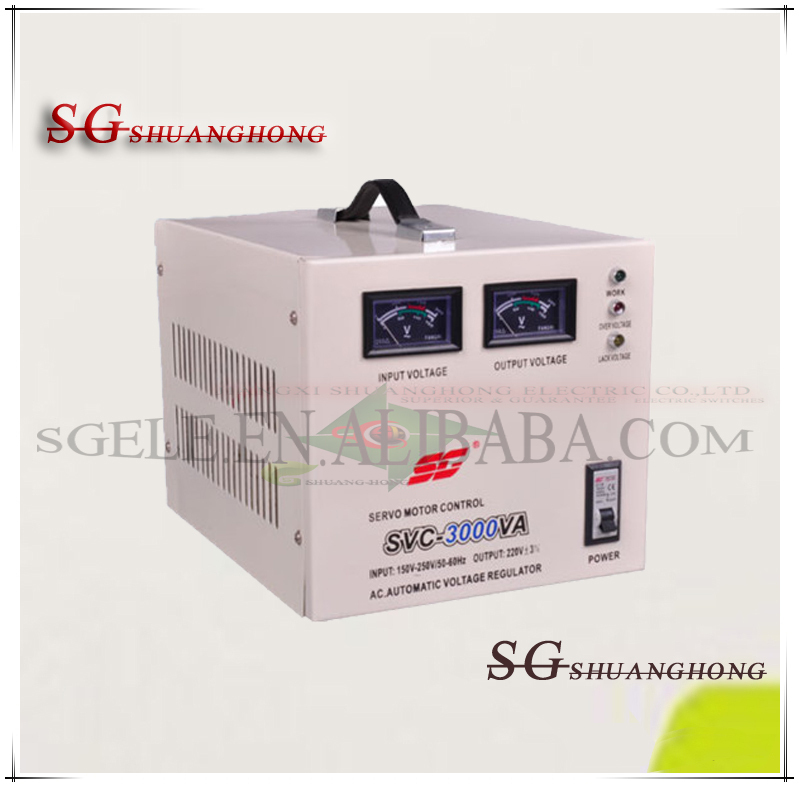 It has excellent features, such as small waveform distortion, high effciency, high power factor, free from the effect or frequency variation of suppy. 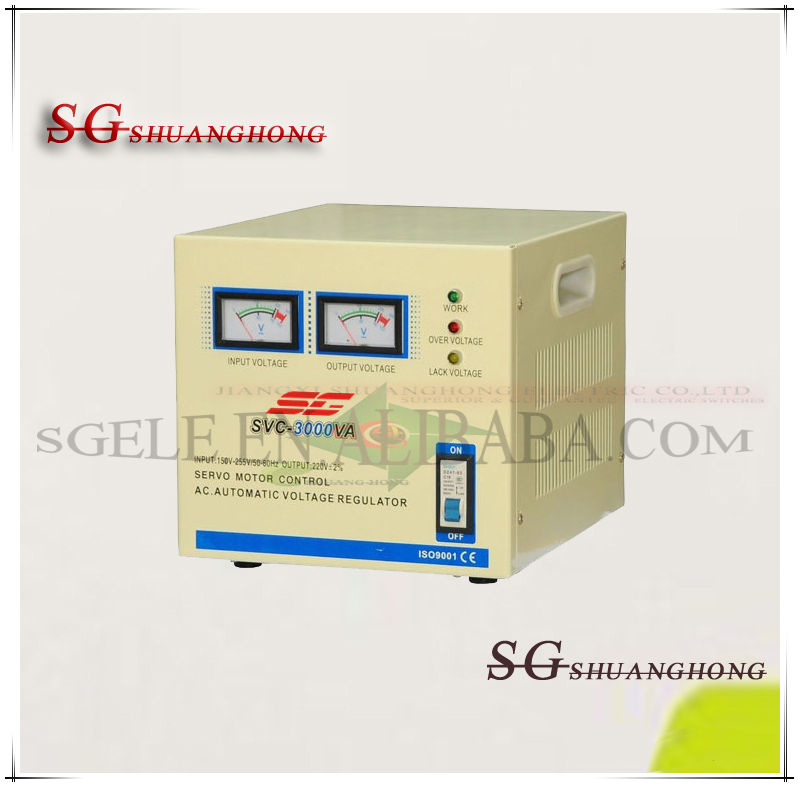 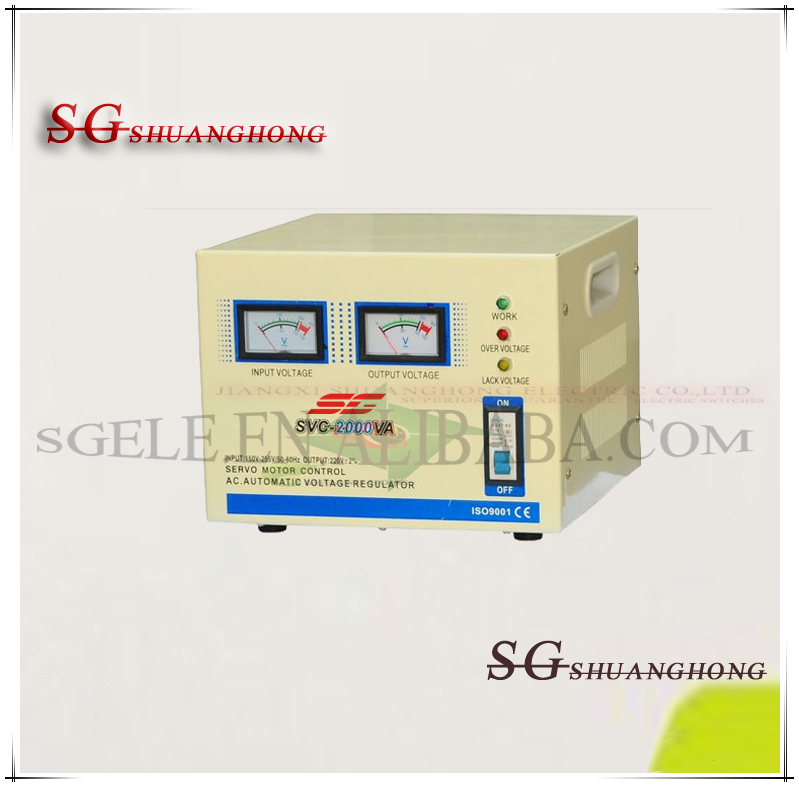 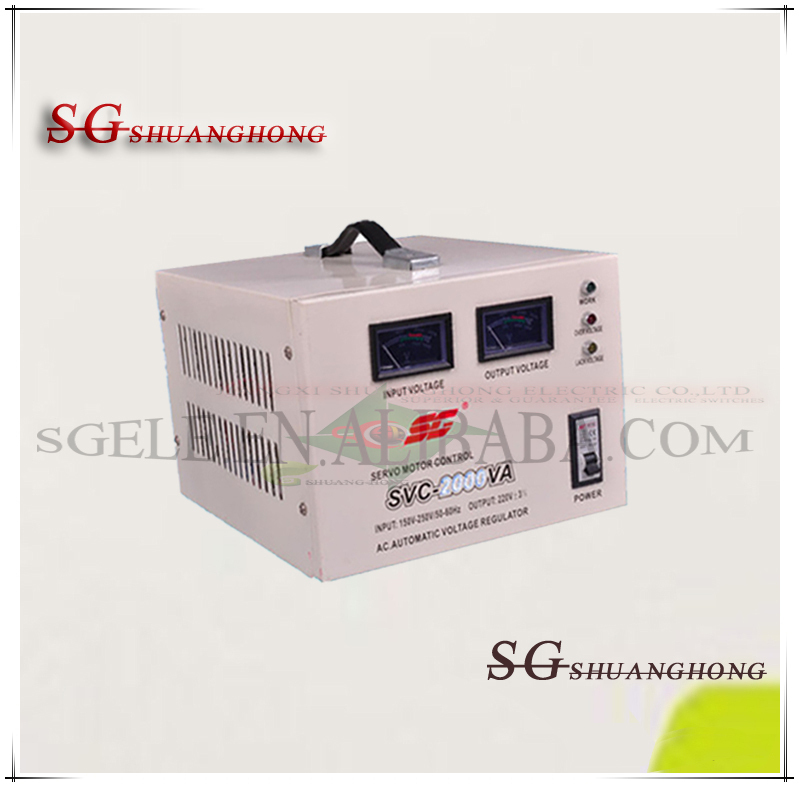 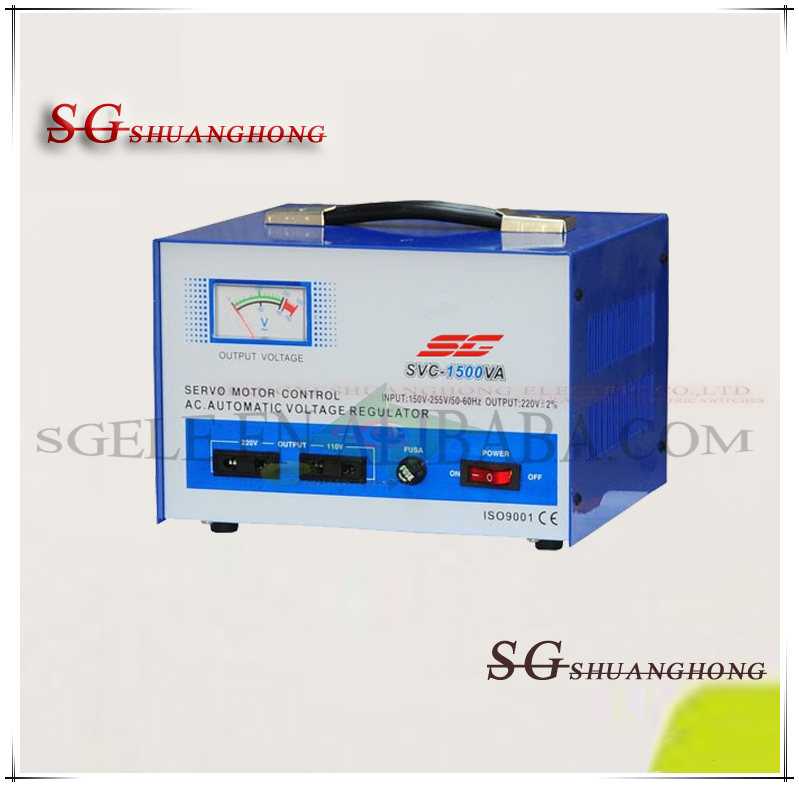 It can be widely used in most situations where the voltage stabilization is required.